With just eggs, salt, scallions, and soy sauce, you can make a luxurious-seeming weeknight meal in about 15 minutes. This dish is basically an omelette mashed up with one of those layered crepe cakes, with scallions and soy sauce interleaved between each layer. And while that might not sound particularly exciting to eat, when combined with a bowl of plain steamed rice, it is an example of culinary alchemy on the same order as a sandwich made from good bread, prosciutto, and butter. It makes a fine lunch, but it is an even better dinner, perfect for those nights when all you have is eggs in the refrigerator and you don't want to cook anything complicated. A bowl of rice, some kimchi or other kind of pickled vegetable, and you've got a grand weeknight meal. Beating the eggs with salt keeps them moist and tender. The layers make the eggs seem creamier and softer when eaten. In a medium mixing bowl, beat eggs along with sliced flowering garlic chives (if using) and salt until thoroughly mixed. 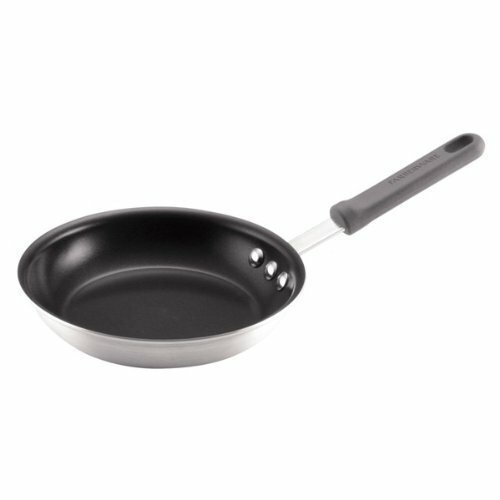 Place about 1 teaspoon of oil in an 8- or 10-inch nonstick skillet over medium heat. When the pan is hot, add just enough egg mixture to coat bottom of pan, swirling to ensure complete distribution. Cook until the bottom is completely set and the top is just barely set with just a trace of runniness; slide omelette onto serving plate. Top with sprinkling of sliced scallions and 1 teaspoon (5ml) of soy sauce; if using a 10-inch skillet, use 1.5 teaspoons (7ml) soy sauce. Repeat process with remaining egg mixture, topping each layer with sliced scallions. If using an 8-inch skillet, drizzle one of the middle layers with 1 teaspoon soy sauce and drizzle the final 1 teaspoon of soy sauce over the top. If using a 10-inch skillet, drizzle remaining 1.5 teaspoons soy sauce over top. Serve immediately with piping-hot steamed white rice. While you can add anything you like to the egg mixture or between each layer—such as thinly sliced sautéed button mushrooms or chopped poached shrimp—it is best to keep additions as simple as possible. Flowering garlic chives are an excellent addition to the egg mixture and can be found at large Asian- or Chinese-American grocery stores.